Where does a warehouse management system (WMS) fit in my operation? Home/Uncategorised/Where does a warehouse management system (WMS) fit in my operation? For anyone storing and handling a significant amount of stock, and employing more than 2-3 people on related activity, there’s a good chance they would benefit from using a WMS. What they may not realise is what it can do for them. 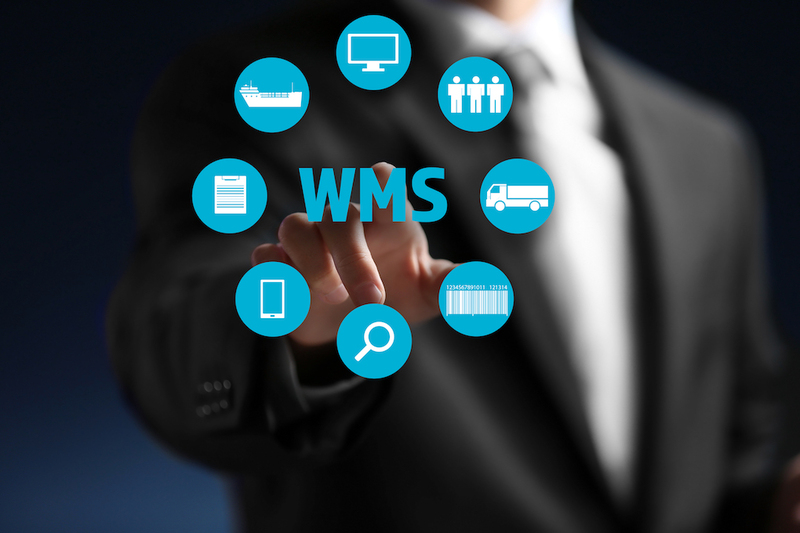 A WMS is all about managing physical stock better. But it’s also about managing the resources you need to hold physical stock, principally those of space and labour. Both of these are key cost areas in your business and using a WMS will help you control these costs, so you can maximise the return on your expenditure. Let’s deal with the first objective of managing space. If you maintain a stockholding you will either own or be renting premises, paying for rates, heating, lighting etc. These are costs you can’t do much about, regardless of what stock you hold or how efficiently you work. So, you must get the maximum benefit from the space you pay for, and that’s something a WMS can help you do. It does this by helping you manage and store stock efficiently, utilising the maximum available space by deploying clever processes which determine how and where goods are located in store. It will also rotate your stock correctly, so you don’t waste space retaining old stock. And with advanced picking techniques it will ensure space is freed up as soon as possible to accommodate new receipts. Of course, it will also provide valuable real time information about your stock and the volumes you handle that will enable you to make key decisions to improve your management of space. The second objective is to maximise the use of labour, something that involves a number of factors. Essentially a WMS gives you efficient processes with which to perform all your warehouse operations. Using these, especially in conjunction with a true ‘real time’ (wireless) solution can deliver a number of improvements. These include the reduction of ‘dead’ or idle time, supervisor intervention and paperwork, and the adoption of good operational discipline to radically improve productivity. Additionally, these processes are inherently secure as they involve system instructed movements and secure (ideally scan-verified) confirmation. As a result, you will eliminate a wide variety of errors that commonly affect physical stock operations which don’t have a WMS system. The cost of rectifying an individual error is often underestimated, and error resolution can represent a large overhead in wasted time and cost even for a relatively small operation. So, by using a WMS you can significantly improve labour performance, in terms of extra efficiency, timesaving and error reduction. This gives you a lean workforce that uses effective, disciplined processes and is geared to achieve high output with minimum error. As a result, you’ll be able to handle greater volumes or cope with expansion without adding cost. When you have to recruit you will know your workforce is fully utilised and there is a genuine need to increase your cost base. ProSKU is a WMS designed specifically to deliver large warehouse best practice to the smaller operation. As a web-based SaaS application ProSKU benefits from a low monthly overhead and is capable of being implemented and working in just a few weeks. ProSKU offers an open API for ready made connectivity with e-commerce marketplaces and carrier integration.